With the Nationals losing their footing to the Shooters, Fishers and Farmers Party, one can naturally assume that the gun vote won over. This is incorrect. 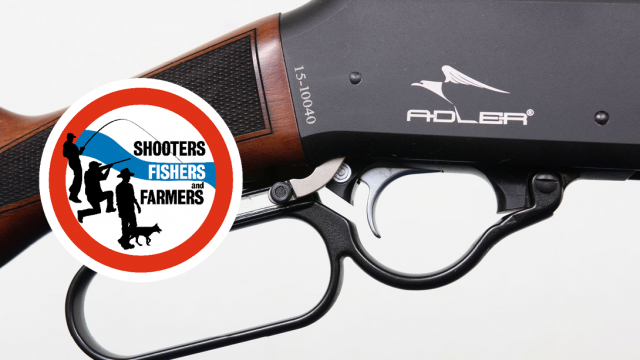 During the ABC’s election night coverage, incumbent New South Wales Treasurer Dominic Perrottet was at a loss to explain why the Shooters, Fishers and Farmers Party (SFFP) was doing so well. Former Deputy Prime Minister Tim Fischer helped him out by quickly messaging that the SFFP results were about the “water issue” and had nothing to do with guns. He was partly right. As the ever-radiant Antony Green noted, the anti-gun campaign wheeled out by the Coalition at the 2017 Murray by-election did not have any impact when they repeated it this time around. Ongoing drought conditions in NSW and water (mis)management were undeniably one part of voters’ concerns. However, the SFFP argue that people in rural and regional areas are voting on the basis of issues like health, ageing and population change, services and infrastructure, economic prosperity, and environmental management. Given these are the same things that voters just about everywhere care about in one way or another, this should not come as a surprise. Nor does this seem specific to the SFFP, although that is the most striking example. If we look at seat-by-seat results, it appears candidates who based their campaigns around the old-fashioned strategy of connecting with their local community and truly listening to local concerns, whatever those may be, enjoyed swings towards them—regardless of their party. Seen in that light, the SFFP result suggests many Australians want representatives who they think will argue honestly and passionately for local issues. This contrasts with officials who spruik to the plebs, through a filter of partisan barbs, about how well the government is treating them. Or how well they will be treated if they change governments. However, Perrottet’s confusion and Fischer’s gun fixation also say something interesting about how the big issues that affect large numbers of Australians, albeit in different ways, seem to have been overlooked in favour of narrow ideas about identity. We saw this in the game of “political rejection” that played out in NSW when it looked like a hung parliament would emerge. Forming unlikely alliances to continue the work of government and resolve bigger problems is something many nations have become adept at, but here we had the Liberal/Nationals saying they would never deal with the Shooters, Labor/Liberal saying they would never deal with One Nation, and the Greens saying they would never deal with just about everyone. Such statements expose an unwillingness to recognise that Australians still have many day-to-day concerns in common, despite who they vote for. Instead, the political rhetoric encourages a tribal mentality of “us and them” and a refusal to accept that “they” could share any of “our” concerns, let alone want to find solutions. It is, of course, true that there can be vast differences in the value judgements that drive how communities think their concerns should be resolved. Unfortunately, responding effectively to different and opposing value judgements is precisely where many of our so-called leaders are failing us. And, too often, we allow identity-based political hypocrisy to go unchecked when it suits us. To use a prominent example, while many of us find One Nation’s values abhorrent, are we also troubled when we hear the Greens say they will go out of their way to isolate that party in the parliament? This should alarm us no matter what we think about One Nation, because setting out to marginalise those with whose values we disagree does nothing to help fix problems, and merely inflames the baying mobs. Navigating through conflict takes constructive, respectful debate that upholds our democratic system. Silencing voices we dislike does not equate to resolving the concerns that underlie what those voices say. Nor is listening to other perspectives the same thing as condoning those values. When politicians reject the legitimacy of other elected representatives, or reduce those representatives down to a narrow handful of issues, they may genuinely believe they are doing the right thing. But in seeking to dismiss broader concerns and shut down open dialogue, what they are really doing is sending a message of division. They are telling us that it is better to rule out any prospect of conversation between people with differing values, than it is to try understanding where those “others” are coming from. This goes against everything we know about how socially cohesive and harmonious societies are created. Of course, some will say that giving airtime to values we find unpleasant does nothing more than encourage support for those. “De-platforming” may be fashionable, but it runs the risk of creating martyrs, and stifles opportunities to highlight flaws in a speaker’s arguments. Progress does not come from ending debate, but from exposing different ideas and challenging them. Out of all places in society, our parliament is where we should most expect this to happen. How strange that the SFFP’s electoral success has revealed that the parliament may be where the true debate is becoming least welcome.